Now you can get rid of smudges, dust, and oily fingerprints that blur the best of views. This Lens Pen from Vortex gives you everything you need in a small, lightweight package that's no larger than a pocket pen. The Vortex Lens Pen uses a revolutionary non-liquid compound that outperforms other cleaners and won't spill or dry out. Now you can get rid of smudges, dust, and oily fingerprints that blur the best of views. This Lens Pen from Vortex gives you everything you need in a small, lightweight package that&apos;s no larger than a pocket pen. 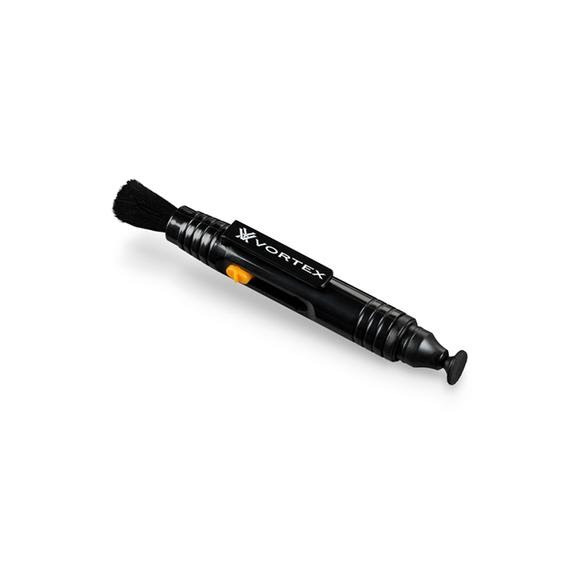 The Vortex Lens Pen uses a revolutionary non-liquid compound that outperforms other cleaners and won&apos;t spill or dry out.